More than Just a mailbox,,,,, truly a piece of ART! 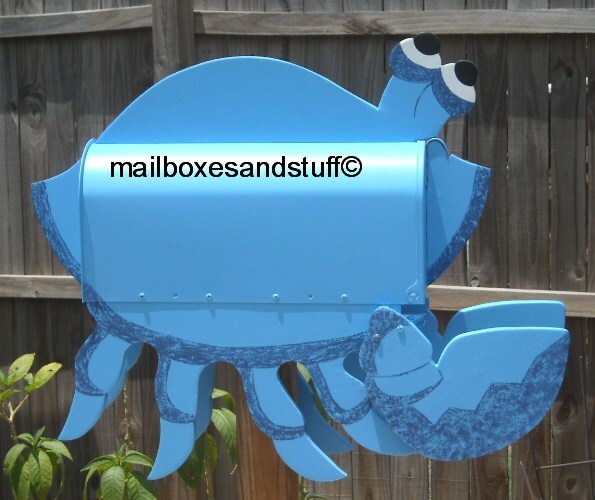 Specify on the order form which color Crab Mailbox you want! We can include a mounting board for you if you wish ..
Can hold up to 5 numbers. They make totally Unique Gifts! Our custom novelty mailboxes are all Hand made and Hand Painted by husband and wife team, Susan and Bill Harrison who pride them selves in their HIGH QUALITY workmanship!!! 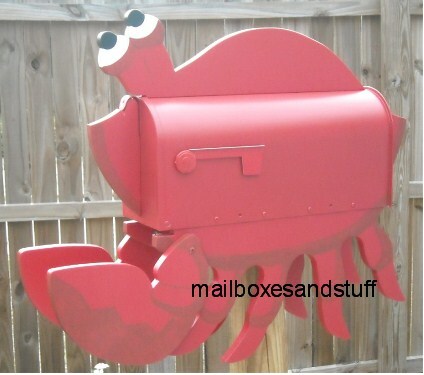 We have over 100 Post mount Novelty Mailboxes in our collection and are adding Animal Wall or House mounted mailboxes to our unique novelty mailbox collection. 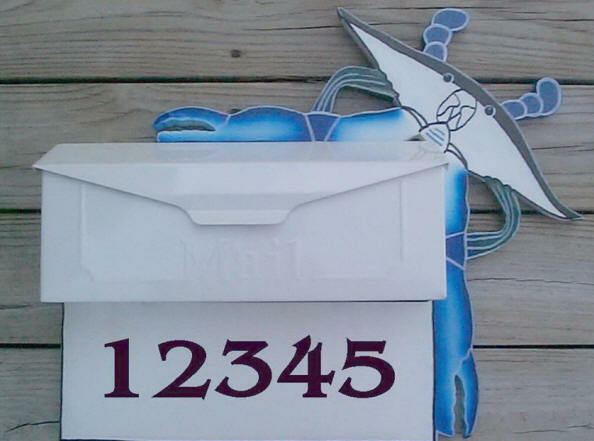 If you see one of our Tropical Style Post mount mailboxes you would like made into a Wall mount mailbox, just ask me!